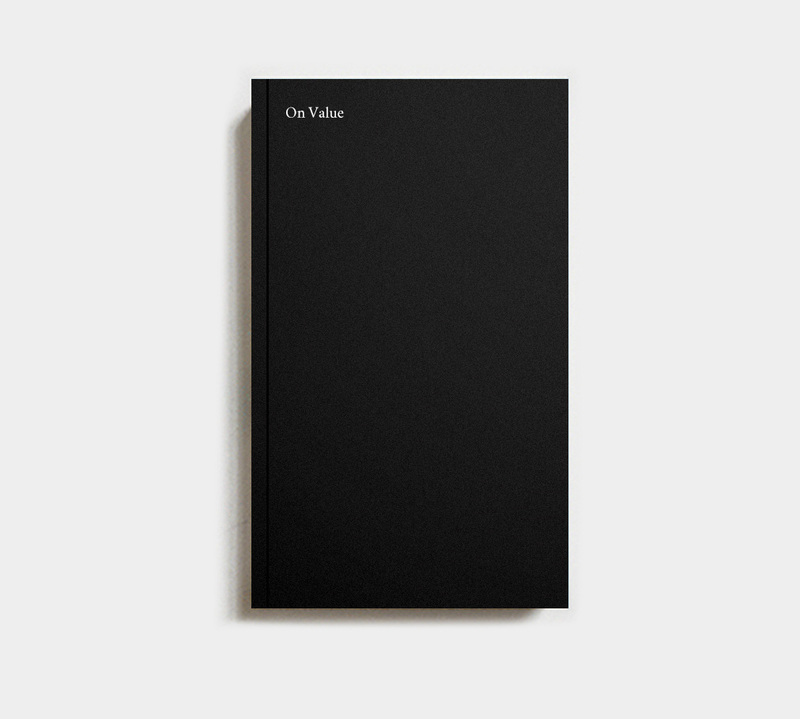 Perfect-bound, 276 pp, 4.17" × 7"
On Value emerges from Value Talks, a series of private conversations organized by Lemon in 2013 and 2014 at the Museum of Modern Art in New York, in which he asked artists, writers, scholars, and curators to consider how and why we talk about the value and acquisition of ephemeral works of art. The book is an expanded record of these conversations, featuring works by Kevin Beasley, Claire Bishop, Philip Bither, Paula Court, Adrienne Edwards, Tom Finkelpearl, Ana Janevski, Claudia La Rocco, Thomas J. Lax, Ralph Lemon, Glenn Ligon, Glenn Lowry, Sarah Michelson, Fred Moten, Adam Pendleton, Yvonne Rainer, Will Rawls, David Velasco, and Nari Ward. On Value necessarily addresses the ephemeral nature of conversation itself: How might discussions that occur in private—about art, race, money, community, and power—be circulated without either compromising their intimacy or promising unmediated access? Rather than purport to exhaustively document or analyze these exchanges, On Value circulates novel versions of lectures, readings, DJ sets, performances, rehearsals, and dialogues, and has provided an impetus for new artworks and writings commissioned in response. Distributed in North America by ARTBOOK | D.A.P. Major support for On Value has been provided by MoMA’s Wallis Annenberg Fund for Innovation in Contemporary Art through the Annenberg Foundation. Support has also been provided by Bernard I. Lumpkin & Carmine D. Boccuzzi, as well as Darwin Brown, Casey Kaplan gallery, Alvin D. Hall, Marjory Jacobson, Julia Joern, Sam Miller, Lisa Naftolin & Jan Greben, Cory Nomura, Carole & Oliver Server, Sikkema Jenkins & Co., an anonymous donor, and Triple Canopy’s Publishers Circle.